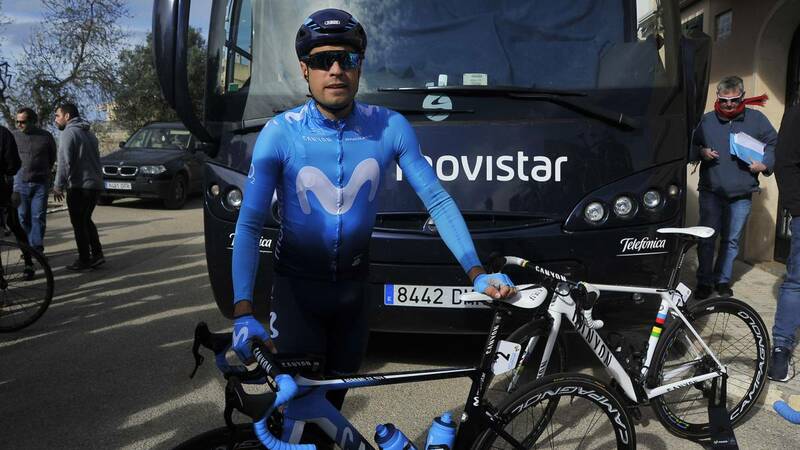 Home Cycling Arrieta: "It's a stage where Landa can try it"
Arrieta: "It's a stage where Landa can try it"
The Sports Director of Movistar attended As minutes before the departure of the queen stage of the Tour of the Basque Country. "It's their land and we'll try to win." Arrieta also spoke of Schachmann, the flamboyant leader of the Itzulia. "We'll see how it happens these two days. We know that it develops very well with rain but now there is sun and this is another story ", added. On the Astana bus there was also enough tension moments before the start. "Here we are, to help Ion. If not, we can also play the trick of Fuglsang, "said Gorka Izaguirre.
" Yesterday we were bitten a few seconds but now the mountain comes and we are optimistic because Ion is very strong, "added Omar Fraile. "I went to the ground because Lutsenko fell in a curve and then, trying to dodge people, I also fell. A pity because I lost my options for the stage and for the General ", concluded Pello Bilbao.